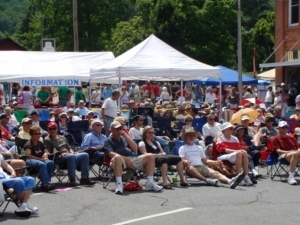 On Friday, July 5th, visit Downtown West Jefferson’s Backstreet for the kickoff to the annual Christmas in July Festival. Come enjoy live music and street dancing from 3-10pm at the main stage, food vendors from 4pm-10pm and a special Farmers Market from 5-8pm! Also held that evening will be an opening ceremony with special guests as well as a visit from Santa & the Civil War Re-enactors! Fun for all ages. The festival kickoff is a free event and will be held rain or shine.